CLOSEOUTS. 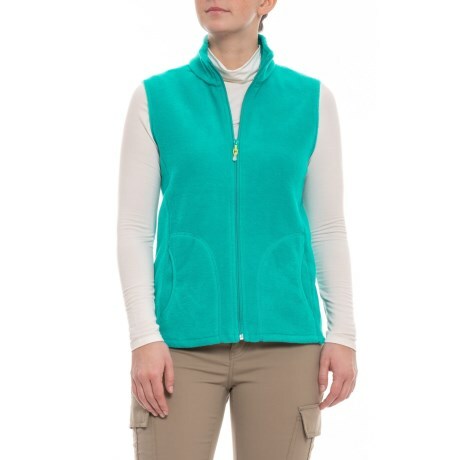 This Woolrich Andes fleece vest offers the warmth of a plush microfleece shell for core warmth thatand#39;s versatile enough to be used as a mid- or outer-layer. Available Colors: AQUAMARINE. Sizes: XS, S.